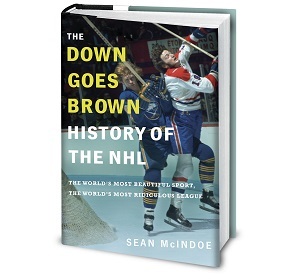 Down Goes Brown: Grantland: What's fair market value for a starting goaltender? Grantland: What's fair market value for a starting goaltender? After weeks of rumors that they were on the verge of a major deal for a marquee goaltender, the Edmonton Oilers finally pulled the trigger on the season's first trade Monday, agreeing to send … a fourth-liner to the Sharks. OK, so that may have been a little bit anticlimactic. But at least it was a reminder that we're entering the part of the season when GMs start making moves. And this year, the early rumor mill has had a running theme: goaltending. That's not terribly unusual, as the position is a point of focus for most teams, but this year's chatter seems especially intense. At some point this season, the thinking goes, we're going to see some blockbuster goalie deals. So it's probably a good time to assess the trade market — what's the established worth of a decent NHL goaltender? As it turns out, that's not an easy question to answer. How was the Anderson/Elliot trade missed? That goes into the "two goalies that sucked with their current team tear it up with their new team" category.